Again, the colors are more vibrant in person. =| My previous paintings had been more subdued color-wise, so for this I really wanted to paint something vibrant and colorful. 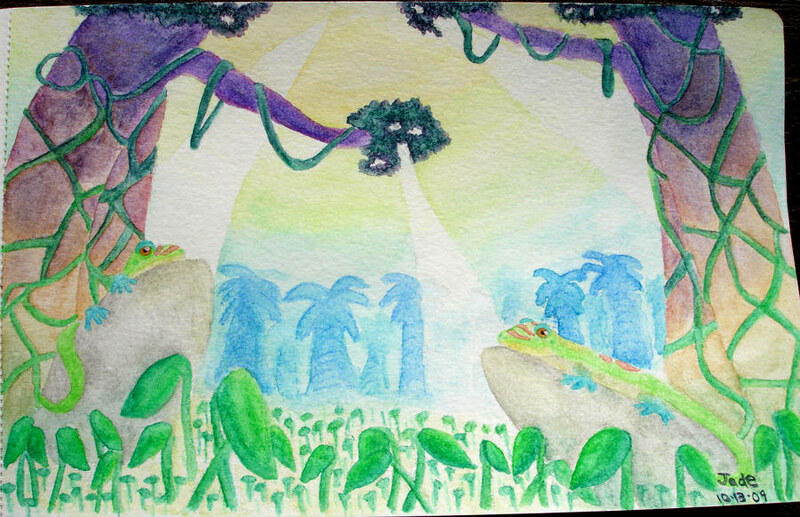 I also wanted to paint geckos (which live around the house; one of which was like a pet), so it worked out well. I also learned a good technique for painting foliage, so it was fun all around.